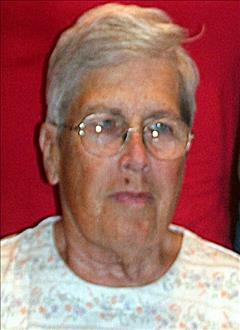 Sue (Setzer) McConnell was born November 24, 1938 in Carnegie, OK yo John Alvin Setzer and Cloe Juynne (Reese) Setzer. She passed away peacefully on April 3, 2019 at the age of 80. A graveside service will be held Saturday, April 6, 2019 at 2:00pm at Fairview Cemetery, Apache, under direction of Crews Funeral Home. Sue was a strongly independent woman. She was feisty and friendly and never met a stranger. She enjoyed her daily runs to the Quik Stop for her Dr. Pepper and to visit with everyone there. Each year she looked forward to family reunions and seeing her cousins. She married Richard Edwards; he preceded her in death. Later, she married Tommie McConnell on February 4, 2007. She will be missed by many. She is preceded in death by her first husband, Richard Edwards; parents, Alvin and Cleo Setzer; sister, Jeanne Lair; brothers, Buck Setzer and James Setzer; and a nephew, Adam Setzer. Survivors include her husband, Tommie McConnell; nieces and nephew: Cindy Mullins, Chris Chadwick, Cathy McKellips, Angie Harmon, John Setzer and Jill Griego; she also has numerous great-nieces and nephews, extended family and friends.